Steadfast Security installs home security and automation systems that are built to ensure families across Kearney, NE, and the greater Kansas City metro, including Olathe and Overland Park, can live each day without worry! At Steadfast Security, we work hard to provide every one of our customers with only the security systems they need. When you contact us with home security issues, our trained team will walk you through your property to find and address the reasons why you need improved security measures. Following our walk through, we’ll recommend the best options for protecting your home from top to bottom. From there, we’ll set up an installation date to help you begin protecting your home quickly! We strive for simplicity. Protecting your home and your family shouldn’t be hard work or cost a fortune, which is why all equipment you buy is yours. No leasing or high prices to worry about with a new installation. You can rest assured knowing that with Steadfast security, we’ll help make your life easier and safer! Steadfast Security offers three great residential security service plans. Find the one that best suits your needs today! Signal forwarding is our basic security service. With this plan, a triggered alarm will contact our central station and then contact you at your home, it will then contact the authorities letting them know of an alarm, and finally contact you once more if no contact was made the first time. 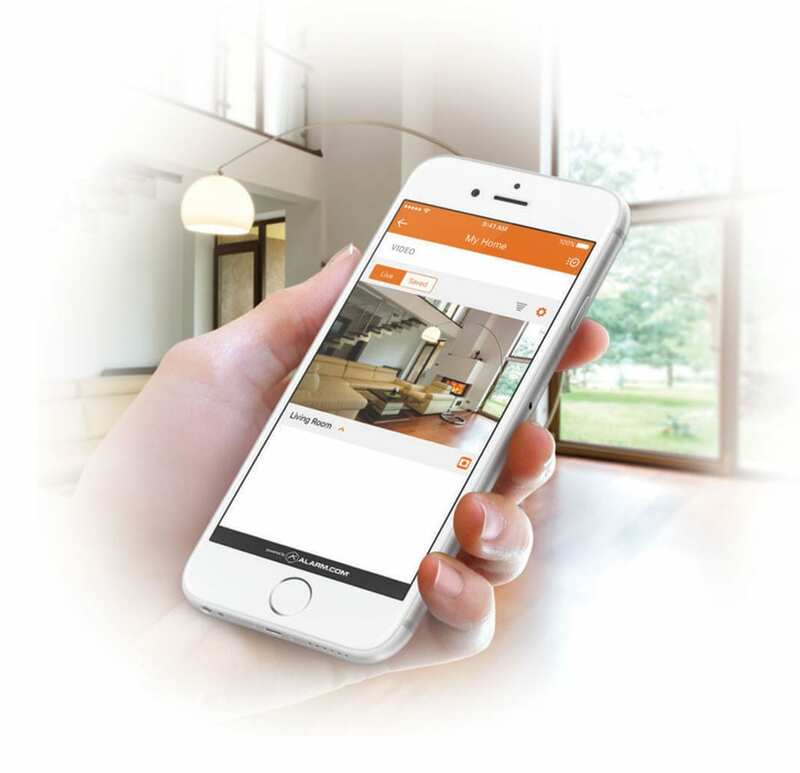 With residential premium, you will receive everything included with our signal forwarding plan, as well as access to the mobile app and the ability to add a smart thermostat to your home. Our best service plan, residential deluxe, provides you with everything in our Premium plan PLUS the ability to add smart locks, garage door controllers, cameras, doorbell cameras, lights, and more! No matter which service you choose, you’ll never be locked into a contract and will have the ability to switch plans without ever incurring any fees! Steadfast Security’s wired system takeover package is designed for homeowners who have an existing security system in their home. Instead of removing everything and starting over, we can replace the cellular communicators in Honeywell, DSC, and Interlogix systems. This allows us to take a standard security system in your home and add all of our smart features, as well as remote access! This is a cost effective upgrade to qualifying systems for anyone with an existing wired security system. This allows you to access your system remotely, add connected devices, and discontinue your landline service. Equipment prices are a one time fee. The residential basic package provides you with a starter system that gives basic protection for the average home. You have the option to add extra sensors and smart features in the future, as well! Equipment prices are a one time fee. This package provides all the basic security sensors needed to secure an average home, plus two of our most popular connected home devices! Extra security sensors or devices can be added during install or in the future! Equipment prices are a one time fee. *All residential installs have a flat $99 installation fee. Ready to begin the process of installing your new home security system? Let us know today! Give us a call or send us a message and our team will get in touch with you quickly! Need Help Finding The right System? Looking for a new home security system or device to add to your existing system? Steadfast Security offers a wide range of devices, including doorbell cameras, smart locks, smart thermostats, and more!